At DroneBase, we’re continually demonstrating our ability to scale for our channel partner customers nationwide. We work seamlessly when plugging into an analytics partner that can derive valuable information from drone imagery. Our channel partner strategy is to enable our customers to have a scalable data acquisition solution in all 50 states that empowers them to grow their own customer base nationwide. Who could be a DroneBase Channel Partner? Any company that is reselling our imagery or is using our imagery to run analytics, reporting, and more. If you are using manned aerial imagery or satellite imagery to support a product offering, you would very likely be an excellent channel partner for us. We have worked with many companies that utilized manned aircraft for inventory management, property management, claims inspections, agriculture, and more. With our ability to capture high-resolution aerial imagery for these companies in a standardized fashion at scale, we have moved these companies from manned aircraft to higher quality drone imagery. Our partnership with Stockpile Reports is a great example of how we took a company from "crawling" (using manned aircraft, to single digit drone flights), "walking" (API integration, scaling out the drone capture sites), and "running" (full API integration, hundreds of drone capture flights nationwide, proven ROI metrics). Our partnership allows them to more easily scale their offering to regions of the country they were not able to reach before with a reliable image capture. What do we provide Channel Partners? We offer our partners a streamlined technology solution to request and ingest imagery nationwide via the world's only drone services API. Our customers request 100’s or 1000’s of Missions (orders), and DroneBase programmatically dispatches drone pilots to capture the imagery based on an agreed upon imagery package. If you have a flight application you have developed, we can use it to perform the mission capture. Via our 3PFA (third party flight application) workflow, we can streamline the process of getting the flight app into the hands of our pilots and easily capturing the imagery. Reach out for additional details on this. We have had a front row seat watching the drone ecosystem progress since 2014. In 2019, growth and adoption will continue. As regulations become more operations-friendly and drone imagery at scale proves out ROI for companies, the demand will continue to grow. As the end users of the imagery, these industry leaders will continue to ask their analytics partners about drone imagery. DroneBase will continue to support those channel partners with a reliable data acquisition solution. Jose Giraldo is the Head of Partnerships at DroneBase. With Jose's insight into core industries and knowledge on drone services, DroneBase has become the trusted, go-to drone platform for insurance, real estate, and inspection companies to acquire aerial imagery. Prior to joining DroneBase, he worked in various sales roles, including Senior Sales Manager, for the Hyatt Hotels Corporation. 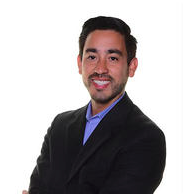 Jose received his BA in Hospitality and Tourism Management from San Diego State University. When he isn't in the office, you can find Giraldo traveling and flying his DJI Mavic.